Is this the perfect party food? Yes. Yes it is. Make double. In small saucepan, melt butter over low heat. Sweat garlic with a heavy pinch of salt and pepper for 3 minutes. Whisk in buffalo sauce and cornstarch (loosened with a bit of water). Remove from heat. 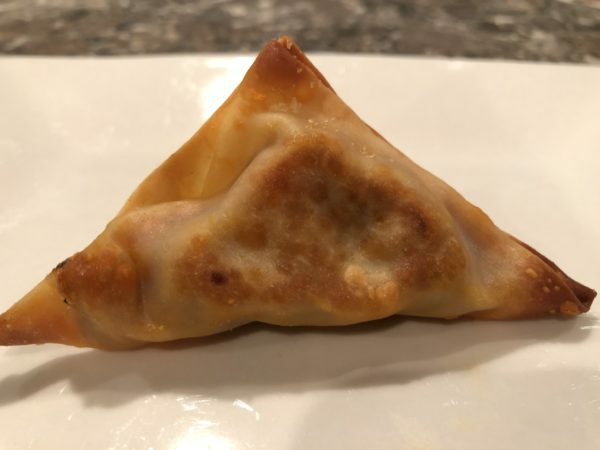 Bake wontons for 12-14 minutes, or until corners brown. Serve immediately. *This video explains how to fill a wonton perfectly.